Bitcoin and other cryptocurrencies are hot topics right now. The problem is, it is hard to accurately write about them mainly because of the volatile swings in value of cryptocurrencies. One may be a billionaire one day and not the next day…or even hour. Recently, the value of several virtual currencies plunged 20% in just one day, and bitcoin is down 50% from its highest value, so you can see how fluctuating this list can be. Instead, we'll write about a few major players in the cryptocurrency world and not speculate about their current net worth. Amongst the people who at one point or another owned $1 billion or more in bitcoin and other cryptocurrencies is a man known as CZ, a 41-year-old Chinese-Canadian coder who just happens to run his own cryptocurrency exchange called Binance. His real name is Changpeng Zhao. He started out creating trading systems for Wall Street firms. Binance can process 1.4 million transactions a second. On a particularly busy day in January, Binance processed 3.5 billion new orders, trades, and cancellations. About 25% of cryptocurrency speculators use Binance to trade 120 different virtual currencies, which generated about $200 million per quarter in profits for Binance. In August, CZ also created his own cryptocurrency called BNB. Holders of BNB receive a 50% discount on trading fees and has a market cap of $1.3 billion. At one point, CZ's stake in Binance and his BNB coins were worth $2 billion. Chris Larsen is another virtual currency aficionado. Larsen is a tech executive known for co-founding a number of fintech apps including E-Loan and Ripple. His net worth was getting close to $20 billion at one point. He owns 5.2 billion XRP, the coins from Ripple. You may remember Cameron and Tyler Winklevoss as the twins from Harvard who famously accused Mark Zuckerberg of stealing their idea for Facebook. They settled that lawsuit for $65 million. The Winklevoss twins invested $11 million of their Facebook settlement money in bitcoin back in 2013. That was an even riskier move back then than it is today—after all, very little was known about the viability of cryptocurrency five years ago. When they made their Bitcoin investment, one bitcoin was worth $100. Their $11 million bought them 110,000 Bitcoins. Over the next few years, the value of Bitcoin grew. In late 2017, Bitcoin skyrocketed and a single Bitcoin peaked in worth at $19,000. 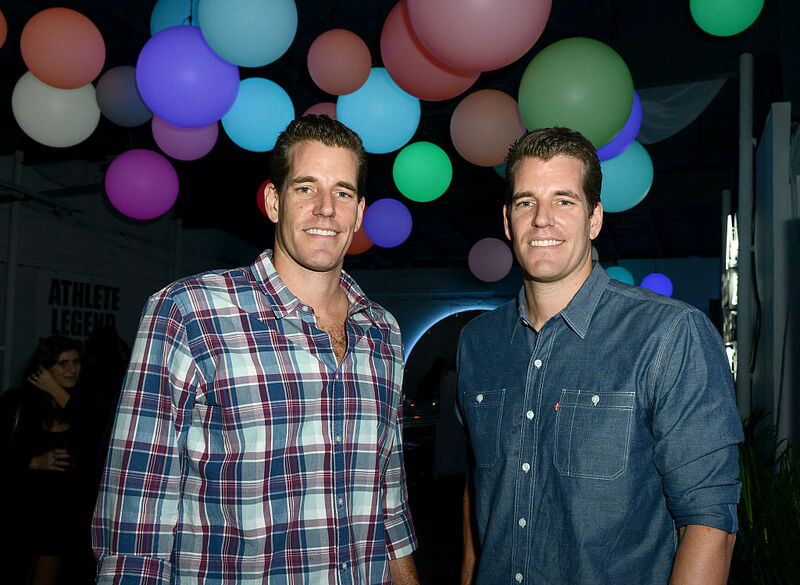 That made the Winklevoss twins' Bitcoin investment worth $2.1 billion. That was short lived. Brock Pierce is a former child actor who appeared in The Mighty Ducks, dresses like a flamboyant homeless person and is prone to delivering manifestos from the balcony of his Santa Monica penthouse (think Erlich Bachman from Silicon Valley). Pierce got into the virtual currency game early. He first was a Bitcoin fan and then he began financing a number of cryptocurrency companies. He has claimed he is giving $1 billion to charity, however, there is no documentation that he has enough money to do that. His virtual net worth was at one point was somewhere in the vicinity of $750 million to $1 billion. And finally, another character in the cryptocurrency world is banking heir Matthew Mellon. He made a $2 million investment in XRP which turned into $1 billion at one point. He celebrated that big milestone in a big way, and the next day found four people in his $150,000 a month Los Angeles house going through his stuff. They stole four laptops and two cellphones. The thieves were likely after the private keys to his virtual XRP fortune. They weren't successful, as Mellon has scattered the keys to his virtual coins across the country at cold storage facilities and put those storage facilities in other people's names. Cryptocurrency, as a whole, is not having the best year, but Coinbase's Brian Armstrong is having a great one. He has become the second person to achieve a billion-dollar net worth in the cryptocurrency industry. There's a new list of the richest Americans out and it's a doozy. For one thing, the poorest person on the list is worth $2.1 billion. Last year, the poorest was worth $100 million.